Craftsman style building with basement unit. 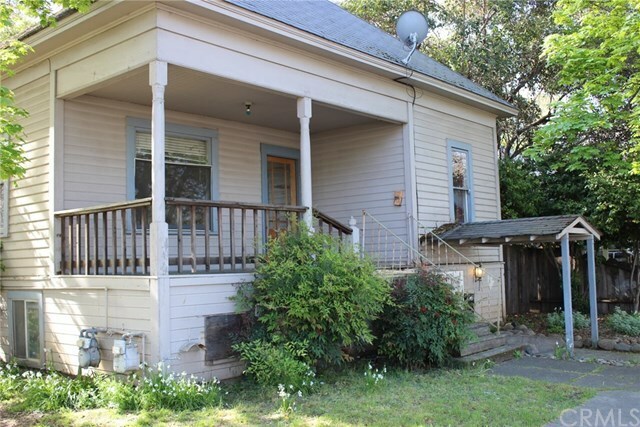 The property is in need of rehab, upstairs unit consists of two bedrooms and 1 bath on the mail floor with a loft bedroom and bathroom and laundry room. The basement unit offers a private entry with 2 bedrooms and one bath and laundry room. There is a old storage garage that would make a great area for tenant parking once removed. Check with the city to see if you could add a studio unit in it's place. Directions: Park Ave. to W11th Street property on the corner of 11th and Okedale.